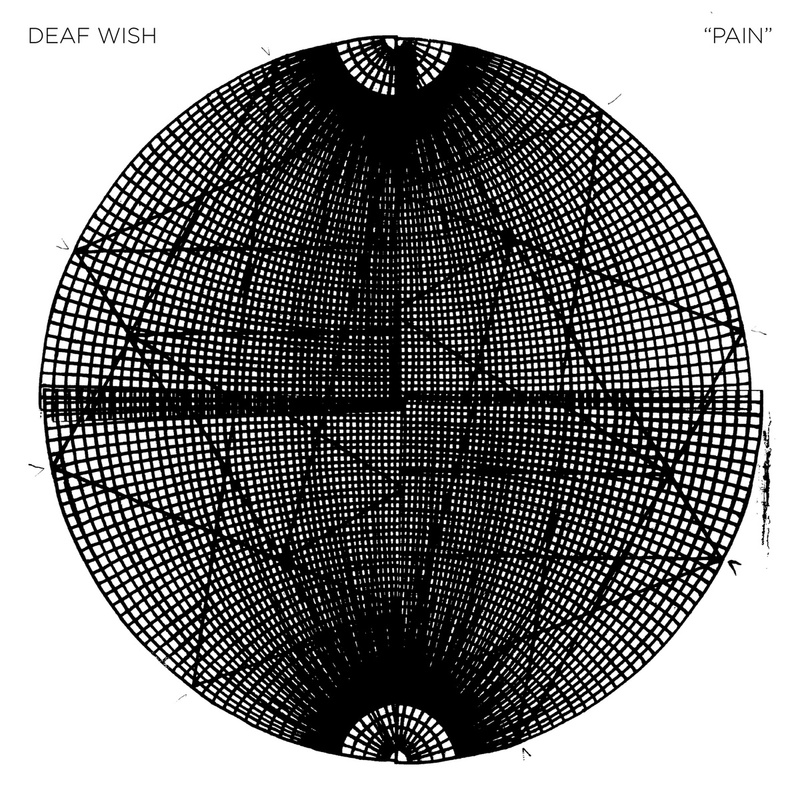 The release date for Deaf Wish’s new album, Pain, fast approaches. As the first full-length release from the band since 2010’s Mercy, there is a strong murmur of excitement from the underground. As many prepare to inflict Pain upon themselves, I spoke to guitarist Jensen Tjhung about how it came together and what people can expect after years in the wilderness. In the years since Deaf Wish last put forth an album, much comment was made on the transient nature of the band’s existence. Seemingly content to remain a mythologised element of the Australian music scene, the four-piece cemented a cult legacy while only ushering forth sparse releases. I use sparse in terms of release frequency, not a descriptor of the sound on record as the music from Deaf Wish is far, far from sparse. 2010’s Mercy established Deaf Wish as one of the preeminent purveyors of dilapidated punk, following on quickly from 2009’s Reality & Visions and 2007’s self-titled CD-R. From 2011 onwards, nary a peep had been heard from the group until last year, when Deaf Wish released St. Vincent’s, a 7” EP that was released through Sub Pop Records. The music scene suitably lost their collective minds as the band that few expected to hear from again burst forth with new music on a storied label, followed by the promise of more to come in 2015. That new material is soon to be released on August 7 in the form of Pain – and LP that adequately describes the inspiration and sound of the ten tracks. Bassist Nick Pratt, drummer Daniel Twomey and guitarists Sarah Hardiman and Jensen Tjhung are the four founding members of Deaf Wish, each accomplished musicians in their own right. The group has constructed a monument made from surging guitar riffs that rumbles at a blistering pace. I won’t waste words going deep into the album yet (that is for another day) but I was fortunate enough to speak to Jensen Tjhung about Pain, how it came to be and what thoughts played a role in its creation. The toll of performing and writing some of Australia’s most brutal music is apparent to Jensen, although he relayed his issue to me with some cheeriness. As a key member of the similarly vicious Exhaustion, Jensen has probably copped his fair share of second-hand squall. Whether or not Jensen’s intolerance for the not-silent-silence was one reason for immersing himself back into Deaf Wish, Jensen informed me that it wasn’t by thoughtful design that the group came back together to write new material. Things came together for the group when they wrote the songs that would feature on the St. Vincent’s 7″ EP. A past connection with some figures at Sub Pop opened the doors for the EP to be released through the storied label, followed by a US tour and the foundations for what would become Pain. Pain has been hyped up in small amounts as an incredibly intense and personal record. The band has stressed in press material and selected interviews that pain permeates the album far beyond the title, and that those who hadn’t experienced pain on some level were advised to avoid the album entirely. To some the album might communicate pain through the snarl-heavy guitar, the shredded vocals or pummelling drums; to others the album’s tender moments can speak on a gentler level, though perhaps more cutting and jarring. I asked Jensen how pain affected the construction of these songs and how integral it was to the work conceptually. Much like any punk in Australia or around the world, Deaf Wish works well with simplicity. A calculated blunt force approach to sound is paired with a desire to whittle ideas away to something concrete and solid, poignant and direct but with a little bit of wiggle room for listener extrapolation. Though Pain is touted as a highly emotional record, I wondered how difficult it was to convey emotions and feelings when there is little room to move musically, and how necessary it was to break an idea down to fit the structure of punk. Could years of pent up feeling be expressed adequately in the length of a Deaf Wish song? As August 7 draws closer and Pain looms large on the horizon, many probably wonder how Pain stacks up to Deaf Wish’s previous work. Time will tell as the reviews roll in but Jensen is confident that Pain is equal or better to what has come before. Once Pain drops Deaf Wish will head back to the states for another tour. After that it probably wouldn’t surprise many to see Deaf Wish drop off the radar again. Regardless what sort of exposure a release on Sub Pop would afford the band, Deaf Wish seem like the kind of group to be content to exist when it suits them. As Jensen said, the four-piece exist at its most vibrant on the road, performing and destroying venues before leaving town to do it all again a bit further down the road. The band moves like a fleeting wildfire, burning bright before being extinguished with the possibility of an errant spark finding fertile kindling elsewhere. I consent that it’s foolish to look too far ahead, when I have yet to fully appreciate the recorded material recently delivered. It simply goes to show how vital a force Deaf Wish is in the Australian underground and helps to explain, somewhat, how the group has maintained its cult legacy after so much time in the wilderness. I intend to elaborate more on the album, but for now you should know that Pain is suited to those that hurt, those that can embrace the noise and immerse themselves in the forceful nature of Deaf Wish’s expression. As cathartic as it must be for the members of Deaf Wish to express in such a way, so too is it healthy to take that energy into one’s self, let it move around and then let it go as it burns away the frustration and unhealthy thoughts that live within. As evidenced by what we have heard from Pain so far, the only thing that is certain is that the music is as dynamic and forceful as ever. Whether we hear from Deaf Wish again in a year or five years from now, we must be conscious to take any offering from Deaf Wish as a cherished blessing and be all the better for it. Pain will be released on August 7 through Sub Pop (USA) and Inertia (AUS).